Most 1997 and newer BMW power sunroofs work nearly the same way. 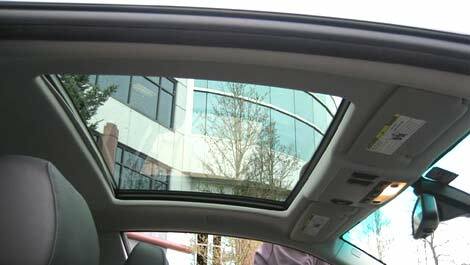 Here are a few tips and tricks to get your BMW sunroof in working order again. 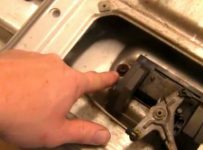 This guide applies to 5-series E39 and 7-series E38 BMWs but can also work with some 3-series cars. Lets start with a basic BMW power sunroof reset. This will help when the battery has been disconnected. If you have changed your battery sometimes the sunroof will only let you use the tilt function. 1. Tilt your BMW sunroof up. 2. Hold the tilt button in for at least 10 seconds. 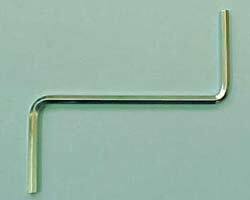 This should reset your sunroof and give you full functions again. Some BMW power sunroofs have a recovery and reset mode. 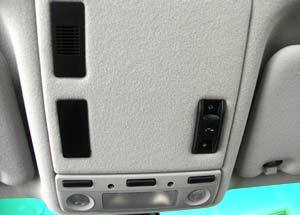 PRESS IN and HOLD the sunroof closure rectangular slide button for as much as 3 minutes. During this time the roof will open, close, slide etc. to re-calibrate the positions. If these steps fail its time to get out your manual sunroof crank tool. Put the ignition in the off position. Remove the interior lamp next to the sunroof switch, then reach in and gently force the switch panel out. 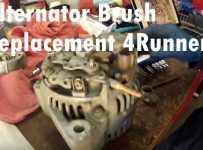 Insert the sunroof crank tool in the motor and turn. 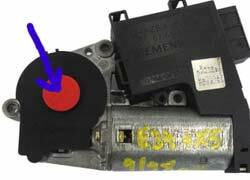 Some motors have the hole for crank exposed and others you will have to remove a plastic cap to get to it. 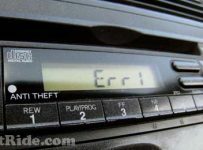 These photos should be close to what you will see on your 528i, 540i, 728i, 730i, 730d, 735i, 740i 740d and 750i. This is the best info I ever got on the internet.I reset my sunroof on my 528i after a jump start. Bruno: Glad I could help. It worked! You are a genius! Thank you for saving me from a possible repair bill panic attack. Bruno: No problem. I’m glad I could help. Bruno: No problem. Glad to help. Thanks alot. It worked for my 2006 330i. I have to agree with Big D…best info EVER! Thank you so VERY much!! You are truly a credit to humanity. This worked like a charm! Thank so much Bruno! I just saved who knows how much money by using your info. Is the ‘depress and hold’ function done starting from a ’tilt up’ position as is the first hint? Bruno: No problem. Glad it worked. My BMW 540i E39 2001 tilted sunroof got stucked in opening postion,does not wonna close,trying to use the sunroof button to close,but with no success the button just give a click sound. Bruno: Use the hand crank tool to manually close the roof. This article helped me so much. My car had been in the shop getting body work done and the sunroof was stuck when i got it back. My battery had been disconnected so I held the tilt function like you said and voila! Thanks so much dude, now I can enjoy my cruises in the hills in my beautiful 540i. Bruno: Glad I could help. I miss my 1997 black 540i so bad now. I wish I still had it. Bruno you are the best thank you!!! MAN, YOU SAVED THE DAY!!! MY WIFE WAS MAD THAT I BOUGHT THIS CAR & THE SUNROOF WAS STUCK OPEN AND WINTER & SNOW ARE AROUND THE CORNER– MAN, I WAS ALMOST SLEEPING ON THE COUCH!!! …. THEN, I CAME ACROSS YOUR POST, AND MAAANNNN, WHAAALAAAAHH!!! TEN (10) SECONDS LATER SHE LET ME BACK IN THE HOUSE! IT WAS GOING TO BE 31 DEGREES TONIGHT SO I DIDN’T REALLY WANT TO SLEEP IN OUR BRAND NEW USED BEEMER! Bruno: No problem, glad I could help. E39 03 sun roof tilts and slides open however it will only close about 90% of the way before opening again. I’ve tried resetting using the switch but to no avail. Any ideas? Bruno: The motor may have slipped on the track. In that case you lost that 10% of travel. The track may be damaged inside. You may have to pull it out. Not an easy job. Most people will have to take it to the dealer for that. 2000 540i 6Spd. Sunroof is closed, does nothing when using the button. Which direction do you press the button for up to 3 minutes to reinitialize sunroof? Didn’t work on mine. !998 BMW 740il Al you can hear is it clicking. Tried the crank also and that did not work. Bruno: Sounds like the gearing in stripped in yours. hi bruno,thanks for the informative piece! first i never knew what that tool was for and secondly it worked manually! I tried the 3 mins.wait but it didnt react should i be concerned about the motor? Any thoughts on 2016 bmw328d sport wagon & getting moon roof AND sun shade to go back & forth together?? I don’t like having to let sun shade to go halfway back on its own BEFORE the moon roof actually starts opening. The windows are closing while holding it in the off position from the key. However, the moonroof stays halfway and goes back about 5 mm. It can normally be closed from the inside scroll button. Why would he do that? My 2001 roof slides in the opposite direction that you push the switch and with not tilt up.